Thanks for the link, Dave. 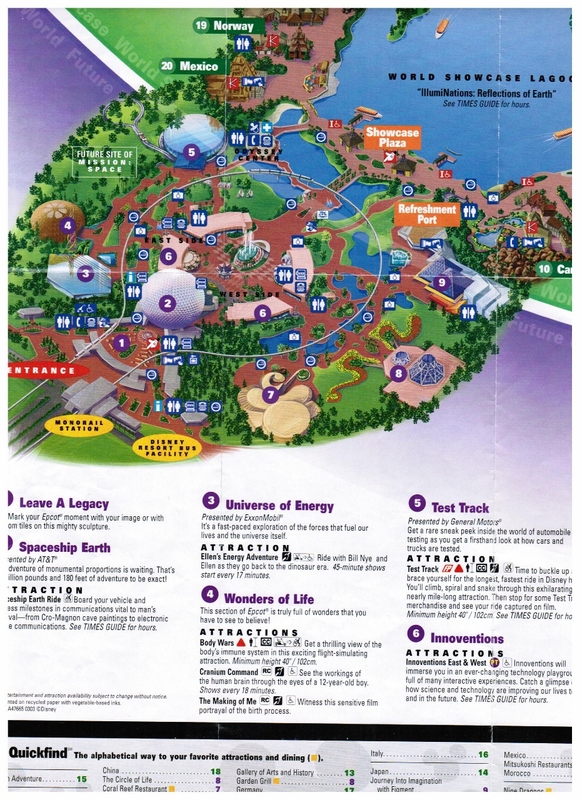 But yeah, I used to get so excited about going, and I often wondered had it stayed around a few more years, I'm sure Premier or Six Flags might have bought it. I have a friend who's uncle lives on the island, so we're going over in the Spring, I'll have to do a photo TR. Forgive my tardiness but awesome images. This update includes Epcot, Boblo, and Hershey park. 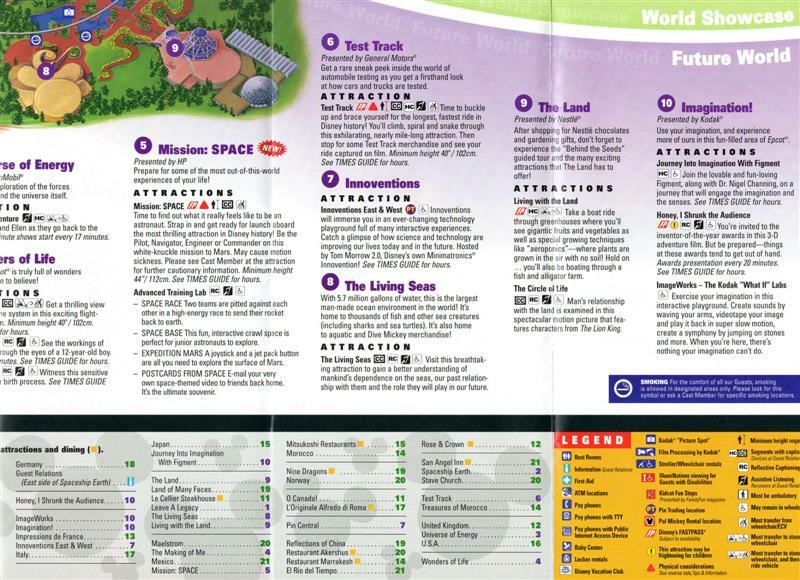 The epcot booklet still lists body wars as "open", and it also was the year that mission space opened. My first visit to hershey park. Epcot. Epcot is probaly my favorate park. 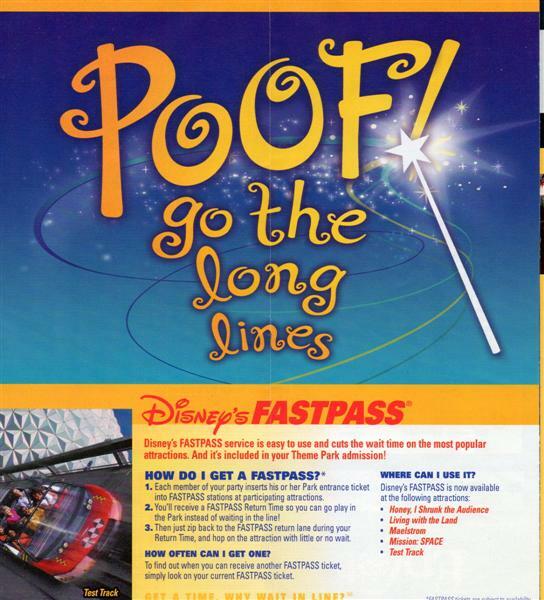 All about the fast passes.. Sorry this is crooked, I did not want to bend the map up too much. 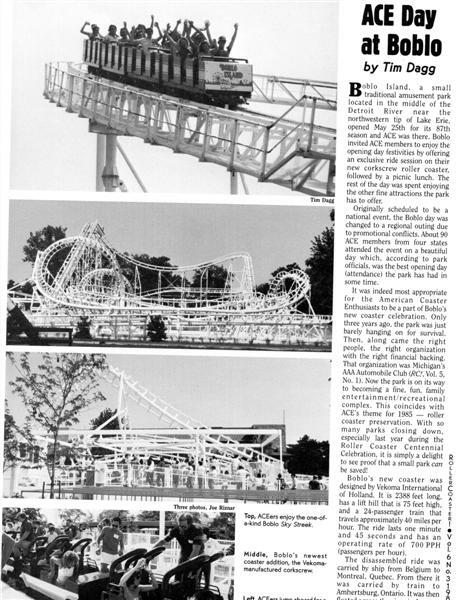 A random story about Boblo island. I visited Epcot in 03. I rode Body Wars right after lunch and almost hurled...haha. I was fine after about an hour or so. It was the only time I ever felt sick after a ride. Mission Space was not open yet but it was pretty close to completion. 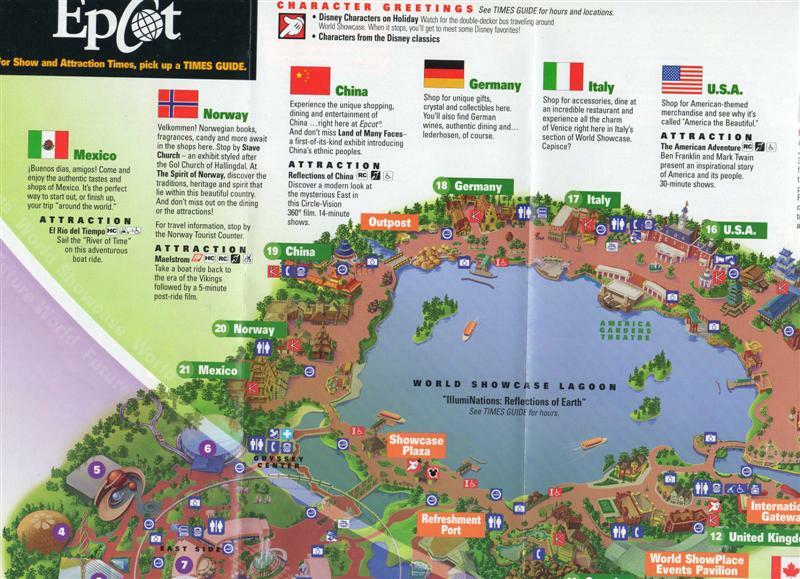 Here's a section of the 2003 map below where you can see it marked. Keep this thread going. Great stuff. Great Maps! I always find it funny how the only attractions in Disney history that are officially scary are Captain EO, Great Movie Ride and Honey, I Shrunk The Audience. I mean, your five year old won't be scared on Snow Whites Scary Adventures or The Backlot Tour! p.s. I love Epcot too. I was lucky enough to ride body wars one time before it closed. 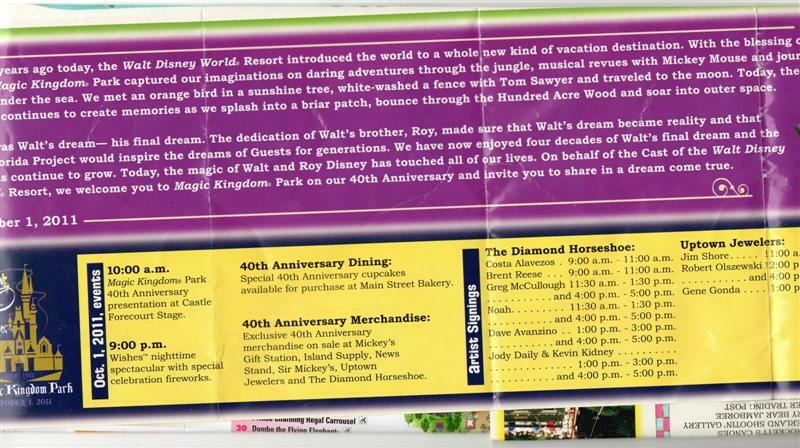 I was never able to check out the other attractions in the wonders of life pavilion. 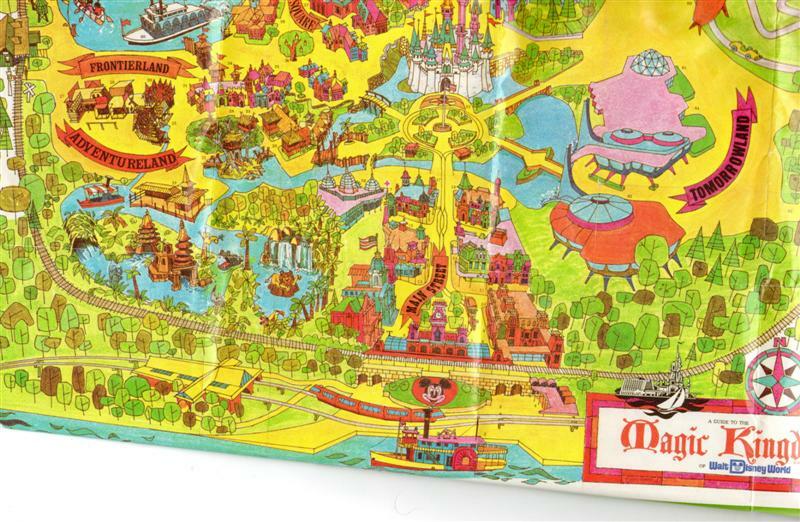 I have that exact Hershey park map and a similar Epcot map. 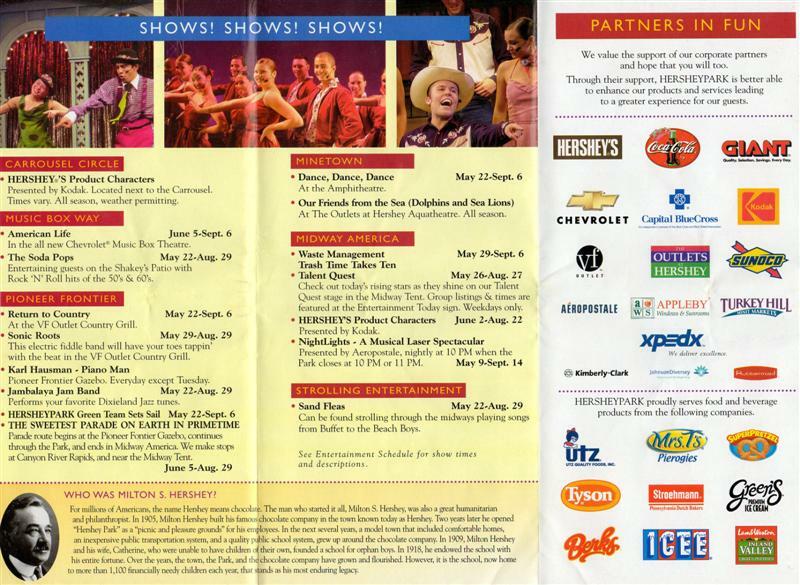 I remember when Hershey used to list all their seasonal shows in the guide, now it's all strictly a seperate entertainment schedule. Great finds! I plan on hitting hershey park sometime this summer. It's been years since I have been there....any suggestions? After taking a long break from this thread, it's time to do another update. 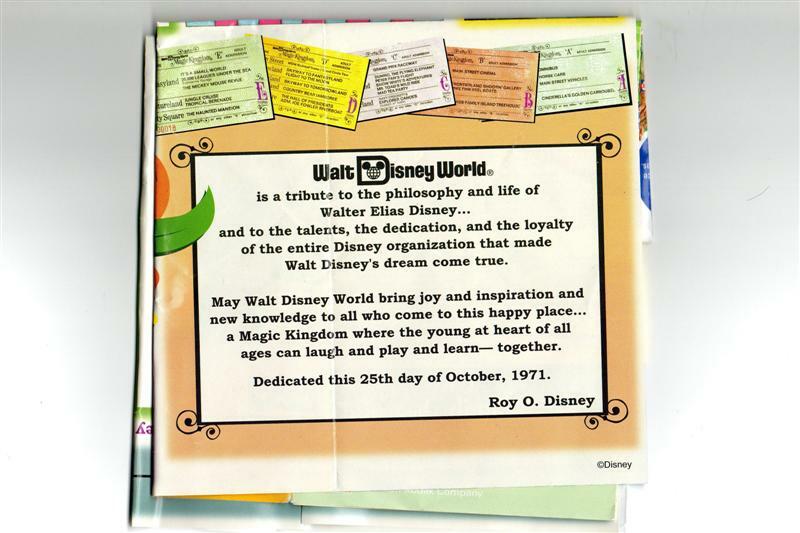 This update is a booklet from Walt Disney worlds 40th birthday. 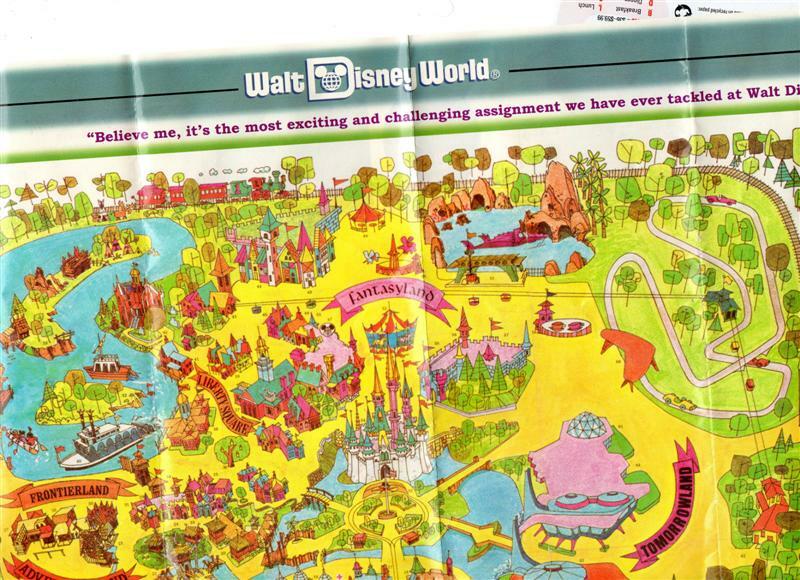 It has a original copy of the first park map from when the park first opened. Wow has the park really changed in 40 years. It has really filled in.